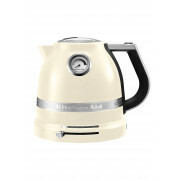 Complete your kitchen with this stunning KitchenAid Artisan Kettle in Almond Cream with its fabulous styling. 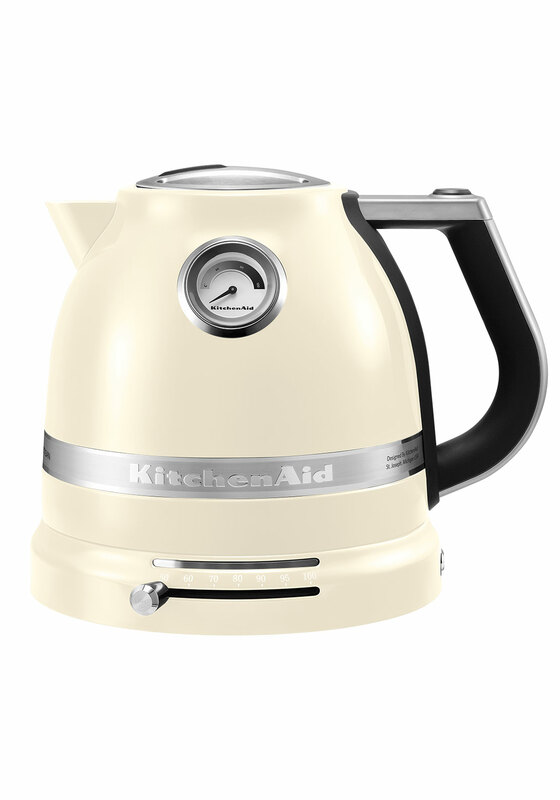 This kettle is durable and a very wise investment with its dual wall construction it enables the water to stay warm for longer and leaves the exterior of the kettle cooler to touch. This product is cordless with a 360°base with a temperature gauge and adjustable setting to the front, while inside there is a concealed element and a lime scale filter. Other features include fast boiling .